Only 13 left! This item ships in 1-2 days. Is your family proud of your favorite state? Show off your pride with a personalized Louisiana state cutting board. 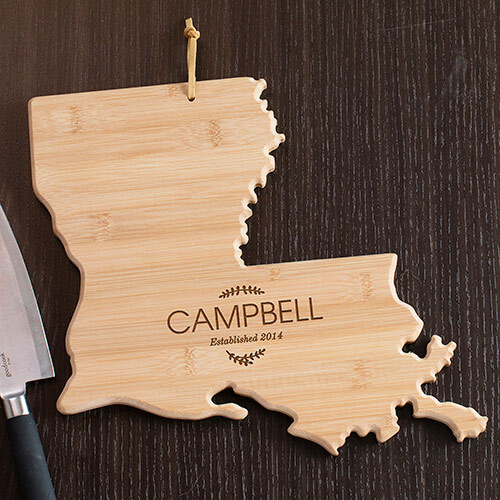 Intricately designed in the shape of Louisiana state, this personalized cutting board may be engraved with any family name and any year to make a great family gift.